As a former high school coach, we can all agree that two of the most difficult aspects of coaching is raising money for your program and teaching your players how to consistently shoot a basketball. Well, I am about to offer you an opportunity to solve both issues with one simple solution......J-Glove Shooting Camp Fundraiser. trainer to your school and leave with 50% of the registration profits? You have the opportunity to raise $5000 for your program in two short days! Also, each player receives their own personal J-Glove Shooting Aid with their registration ($20 Value). shooting instruction in the United States. 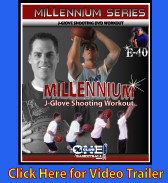 Rather than relying on outdated principles and videos, J-Glove shooting camps teach the science behind shooting (relying on proper biomechanics). 1% CLUB Basketball Services has taught players at the highest level of play, having tremendous success with their unique shooting concepts and curriculum. Most notable is development of NCAA 3-point leader Josh Akognon, who is considered a future draft choice in the upcoming 2009 NBA draft. ten hour camp. The J-Glove Shooting Camp is all about constructing or re-constructing perfect biomechanical shooting mechanics during your shot release and follow through. In most cases, this will involve one of the more difficult training tasks known to humans....breaking old habits. Lessons at camps, and clinics often leave players confused and discouraged, resulting in old shooting habits quickly reverting back. Re-training the brain to discontinue the use of old muscle-memory circuits and to create new muscle-memory circuits is a very time-consuming and repetitive process. Utilizing the J-Glove Shooting Camp will re-construct your shooting mechanics and follow through in a short period of time, while providing your team the success and confidence to be long-term successful shooters. Please visit the "Fund Raising Breakdown" link in the column at the right. To find out more information, or to book dates in advance, please call (707) 849-1212, or email info@jglove.com. in the field of basketball, including many facets for improving the quality of basketball around the world. These programs include; instructional aids; "Millennium Instructional DVDs Series"; "Green Room	Training" (NBA/Overseas training program); Online Video Stream Skill Training; Elite High School Instructional/Exposure Events, and; West Africa Development Camp. 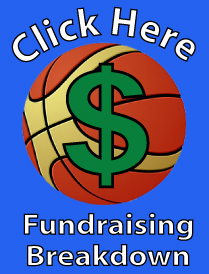 Therefore, "Fundraising Camps" can be modified to include all aspects of basketball to fit your programs needs. Visit www.1percentclub.org for more information on 1% CLUB Basketball Services.